1. A field is a single characteristic or attribute of a person, place, object, event, or idea. 2. A table is a collection of fields that describe a person, place, object, event, or idea. 3. The specific value of a field is called the field value. 4. A collection of related tables is called a relational database. 5. A relationship can be established between tables that have a common field that is of the same data type. 6. A primary key is a field, or a collection of fields, whose values are unique for every record in a table, cannot be null and is the first index of the table. These are the entity integrity restraints of a primary key. 7. When you join the primary key from one table to a common field in another table, the common field in the related table is called a foreign key. 8. A Database Management System (DBMS) is a software program that lets you create databases and then manipulate data in them. 9. A Relational database management system data is organized as a collection of tables. 10. 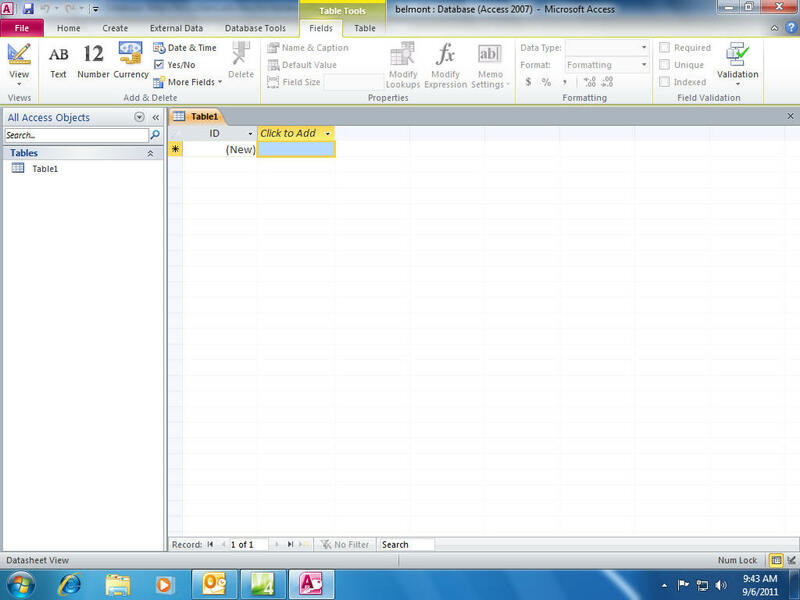 A template is a pre designed database that include tables, reports and other database objects. 11. Datasheet view shows a tables contents in rows and columns. 12. Navigation Pane is the area on the left side of the window that list all of the objects in the database. 13. Tables can be createted in datasheet view. Click create tab on the ribbon, in tables group click the table button, accept the default Id primary key, add your field by double clicking the add new field column heading. 15. Data type determines what field values you can enter into a field. 16. Autonumber data type automatically inserts a unique number in the field for every record which can be sequential or random. . Long Integer is the data type. .
17. Text data type allows field values contain letters, digits, and other characters up to 255. 18. 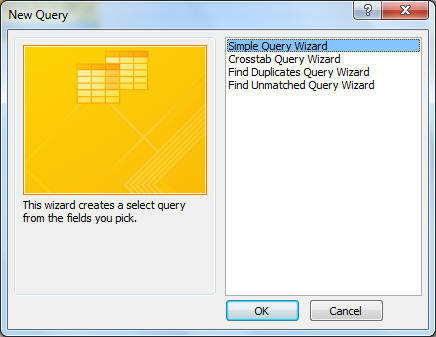 Clicking a field selector (column selector) or a record selector (row selector) selects the entire column or row. 19. When creating a table in datasheet view and entering data access automatically assign each field a data type based on the field values you enter. 20. 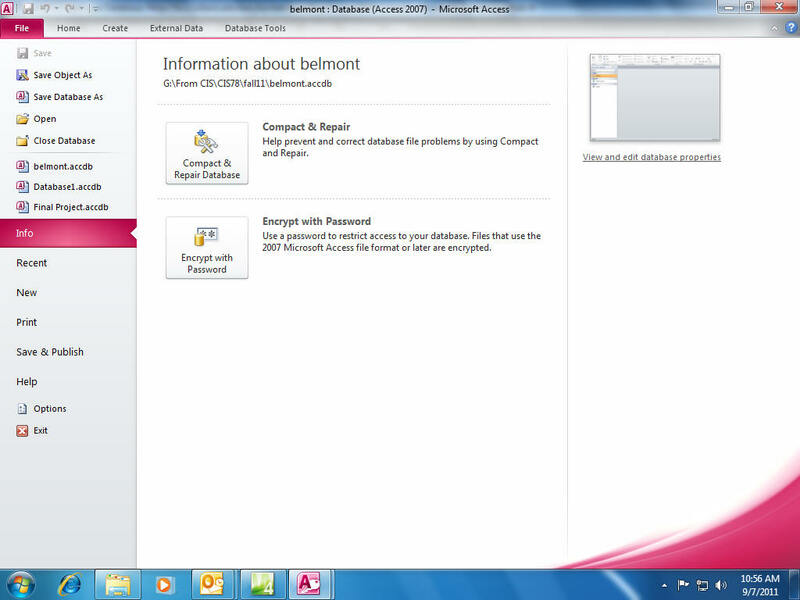 Saving a table - click the save button on the quick access toolbar.,type the table name in the box, click OK.
21. Opening a table -double click the table name in the navigation pane. 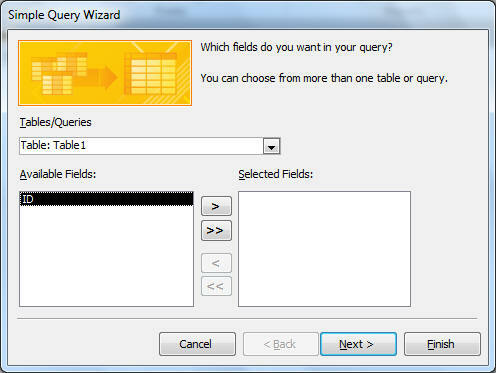 b. Click the tables\queries down arrow to select the table or query you want to use, then send the fields across to the selected fields box, click next, select detailed or summary, click next, type in the name you want for the query, click finish. 26. A form is a graphic user interface into the table. A form tool creates a form containing all the fields in the table or other database object. 27. creating a form open the table in datasheet view, in the forms group on the create tab, click the form button and the form is created. 28. A report is a formatted printout (or screen display) of one or more tables in a database. 29. Create a simple Report. - select table and open in datasheet view, click the create tab on the ribbon, in the reports group on the create tab, click report button. 30. Print Preview report: in the views group on the report layout tools format tab, click view button arrow, click print preview. 31. 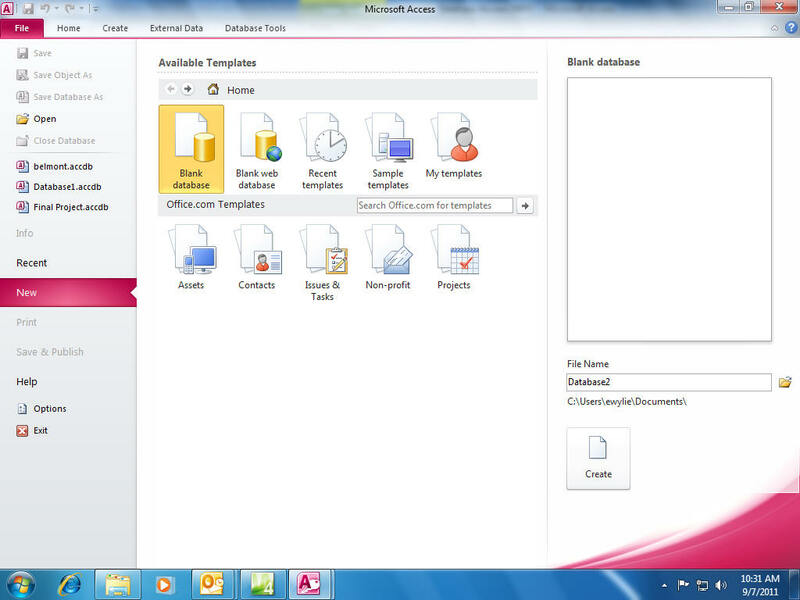 Print a report - click the office button , point to print, click quick Print. a. Click compact and repair. 33. 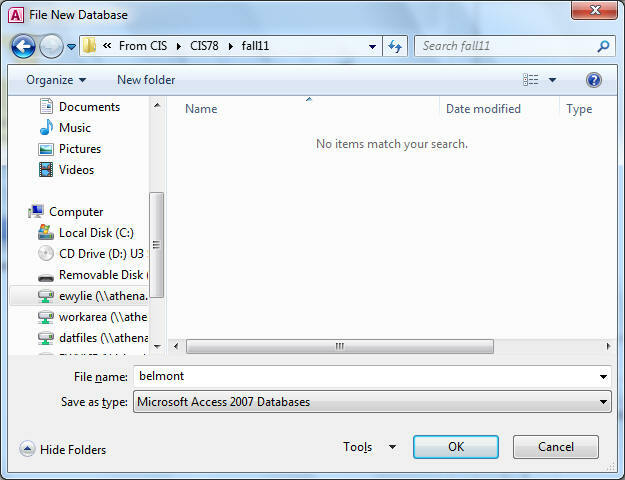 Backing up a database is the process of making a copy of the database.